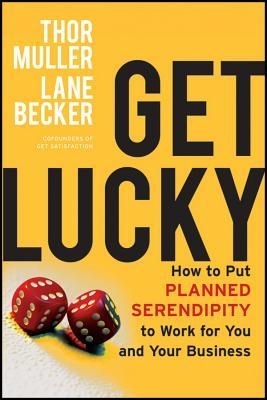 If chance does indeed favor the prepared mind, you need the eight skills the authors provide to engage planned serendipity and leverage luck. 1. Set yourself in Motion. Your daily routine should be anything but routine. The more you talk with people, the greater the chance you’ll find what you need “without knowing from whom or where or when, exactly you will find it.” We’ve all had chance encounters that turned into useful encounters because we engaged in conversation. 2. Preparation involves connecting the dots between disconnected conversations and experiences. Look at things differently by forgetting what you know to be true. That’s the way you find new ways to do things – and new things to do. The same path always leads to the same place. 3. Divergence deals with slightly altering your course. The owners of a high-end residential-door business found a use for their scrap wood because one of their children asked about a long skateboard. They have two businesses now. Every business needs a culture built upon change because change ensures continuous improvement along with a willingness to take risks while exploring opportunity. 4. Commitment to purpose defines the culture of a firm. “It slashes the number of acceptable choices in front of us, leaving the ones most attuned to our truest aspirations.” It puts a premium on critical thinking (i.e. how to do more with what you have). Example: Borders Books went bankrupt because it continued to define itself as a bricks-and-mortar bookseller in a download world. It didn’t answer the what-do-customers-want-next critical question. Competitors did. Barnes and Noble developed a way to reach people who wanted to enjoy books and media on tablets. Amazon’s Fire did the same; Amazon continued answering the question by expanding its platform into buy-everything-here online retailer. Apple’s iBooks put it into the bookselling business. 5. Activation by design keeps us alert to choices relative to situations, risks and opportunities. To engage serendipity, you have to see more than what’s in front of you – and figure out what it means. Widen your field of vision to notice seemingly peripheral events and “connect ideas that unfold out of sequence.” You can’t pick up a newspaper that hasn’t written about how the turmoil in the Middle East, falling oil prices and financial crises in the EU and China have a domino effect on Wall Street and Main Street. 6. Connection means constantly looking outside your box (i.e. industry, your staff) to find ideas you can use to build your business. Think about the people you meet at networking events and your connections on LinkedIn. Quite often, these connections can point you to people and groups of which you were unaware. Do you really take advantage of their store of knowledge? And don’t forget about the information and connections available in The Cloud. 7. Permeability, open minds and open doors go hand-in-hand. While it might be easy to manage a business within the confines of its “castle walls,” the barbarians (i.e. customers) at the gates need to be heard and understood. Companies preach customer service, yet distance themselves from the interests of their customers by making customer service a department, rather than part of the firm’s culture. Customer feedback provides insight into the future. 8. The skill of Attraction “changes how the outside world sees and interacts with us.” By employing the first seven skills, a firm projects its purpose as part of its brand. When people understand purpose as well as products and services, the company amplifies its brand. Thomas Jefferson stated, “I’m a great believer in luck, and I find that the harder I work, the more I have of it.” The authors agree.